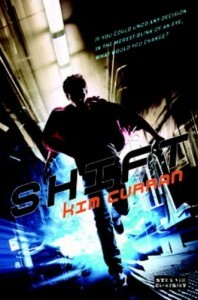 Clay Jannon is young, techno-savvy and unemployed after being laid off by an ill-fated startup called NewBagel. As his desperation for a new job grows, he starts looking for opportunities everywhere under the sun, which is why the “Help Wanted” sign in the window of Mr. Penumbra’s 24-Hour Bookstore catches his attention. Mr. Penumbra, the store’s owner and namesake, hires Clay largely based on his love of books and his willingness to climb the steep ladders necessary to reach the store’s towering upper shelves. After Clay is hired, he is told that the bookstore has a few rules, and one of them is that he isn’t allowed to read any of the books kept on the back shelves. These books are loaned out to a small club of customers who seem to be performing some kind of research. Clay only lasts so long before he gives in to temptation and tries to read one of the books – only to find out it’s written entirely in code. Things only get stranger from there. The most fortuitous event in his clerkship, however, is the night when a young woman named Kat Potente walks into the store while he is working on a data visualization he hopes will help unravel the mysteries of the bookstore. Kat, it turns out, works for Google, and has access to huge amounts of computing power that they can bend to the task of uncovering the truth behind the store. With help from Kat – and Google’s servers – Clay begins unraveling the secrets of Penumbra’s store and the true adventure begins. 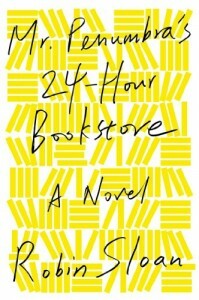 Mr. Penumbra’s 24-Hour Bookstore is a fascinating hybrid of genres. It feels like a fantasy adventure, but focuses entirely on technologies that exist in the real world today. Clay and Kat both speak breathlessly of the wonders possible thanks to Google, and even though they occasionally sound like an ad for the company, it’s hard not to get caught up in their excitement. This book has adventure, romance, an epic quest, tiny cities built to scale inside a living room, a mysterious secret society, mind-boggling technology and a leavening of actual history. It’s a brisk, entertaining read, and very funny to boot. Although I do highly recommend this book, the only caveat I would make is that Google is such a big part of the story that the company almost feels like a major character. I could definitely see that being off-putting for some readers. In theory Sloan could have told a similar story without actually explicitly naming Google, but I think part of the idea behind this book is to tell a story that seems fantastical but is actually grounded in present-day reality. From that perspective, the intense focus on Google’s achievements is a big part of what makes this book work so well. One of my most favorite moments in the book comes near the end when Clay visits a massive storage facility while on a quest to find a missing artifact. The facility is full of constantly moving shelves that seem to have minds of their own as they shift artifacts from place to place. The scene is full of magic and strangeness, but I wouldn’t be surprised to discover that just such a facility actually exists in the real world. That, ultimately, is the book’s greatest achievement – finding the wonder in modern technologies that we might otherwise take for granted.